For drivers in the Portland, Beaverton, and Tigard area shopping for a classy sedan, you should consider the 2016 Kia K900. This vehicle has the pomp and frills to impress any luxury car fan, so we’re going to delve a little deeper and give you a clear idea as to what this vehicle offers. In this vehicle review, we’ll focus on under-the-hood performance, interior comforts, and technology. By the end of this review, you’ll want to know how to get behind the wheel to test drive the Kia K900. The 2016 Kia K900 comes equipped with a 3.8-liter V6 engine that features an eight-speed automatic transmission. It also features gasoline direct injection, which limits the amount of fuel that’s wasted in your combustion chamber, allowing the Kia K900 to get an EPA-estimated 17/26 city/highway mpg. In terms of power, the K900 can deliver a whopping 311 horsepower with 293 lb-ft or torque. The Kia K900 offers leather-appointed seating and enough room for five passengers. For comfort, heated seats are available for the driver and side passenger as well as for rear passengers. Regarding headroom, this vehicle offers 40.2 inches in the front and 37.6 inches in the rear. It also offers ample legroom, with 45.9 inches in the front and 38.2 inches in the rear. Not only does this vehicle offer a lot of room for its passengers, but with heated leather seats for all passengers, comfort is one of this car’s greatest features. The 2016 Kia K900 features an impressive 14-speaker sound system that plays audio from the CD player and the HD radio®. The HD Radio® allows drivers to listen to standard AM/FM broadcasts at a higher sound quality while eliminating the irritating buzz that’s usually expected with talk radio programs. The Bluetooth® connectivity system lets you make and receive calls while driving. This system also allows you to stream audio from your smartphone’s library or from any internet radio app. Another impressive feature is the Voice Command Navigation System, which features a three-month trial subscription of SiriusXM® Traffic. This amenity provides you with up-to-date information regarding traffic conditions on the road ahead. Now that you know about this vehicle’s amazing features, you’re ready for the best part of the research process: the test drive. But first, let’s go over what you learned. You now know that the 2016 Kia K900 offers a powerful engine that doesn’t waste fuel, thanks in part to gasoline direct injection. You also learned that the heated leather seats will comfort you and all of your passengers. Lastly, you learned about the incredible technology features like the HD Radio® and the Voice Command Navigation System. Overall, you learned a lot about this car, but now, you should learn more by getting behind the wheel and seeing how it handles on the open road. 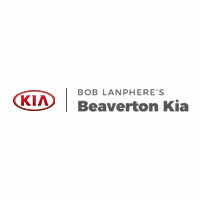 Schedule a test drive of the 2016 Kia K900 today at Beaverton Kia, a dealership that proudly serves the Portland, Beaverton, and Tigard area.